Goshen High: Latest News - G.R.E.A.T. G.R.E.A.T. 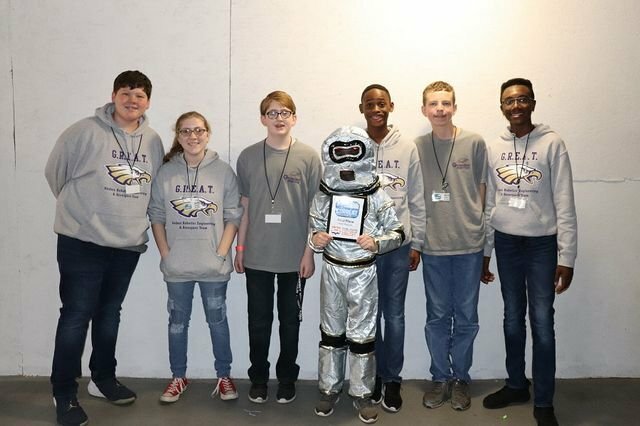 (Goshen Robotics Engineering & Aerospace Team) competed in the South's Best Robotics competition at Auburn University this weekend. The team of 9 members finished in 30th place out of the 60 top teams in the Southeastern United States. B. Singleton, the team mascot, finished in 1st place out of the 60 teams in the mascot dance off. Congratulations G.R.E.A.T. !